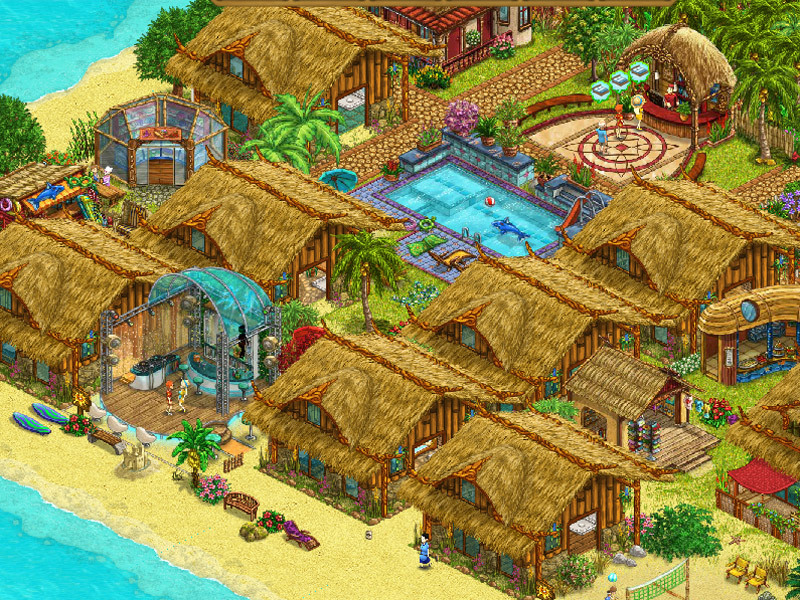 Create your own Vacation Paradise! Who doesn’t dream of sun, sandy beaches and palm trees? Listen to the soft rushing of the waves as they roll ashore. Let the ocean breeze dance across your feet as you lie comfortably in the sun and enjoy the wonderful weather. 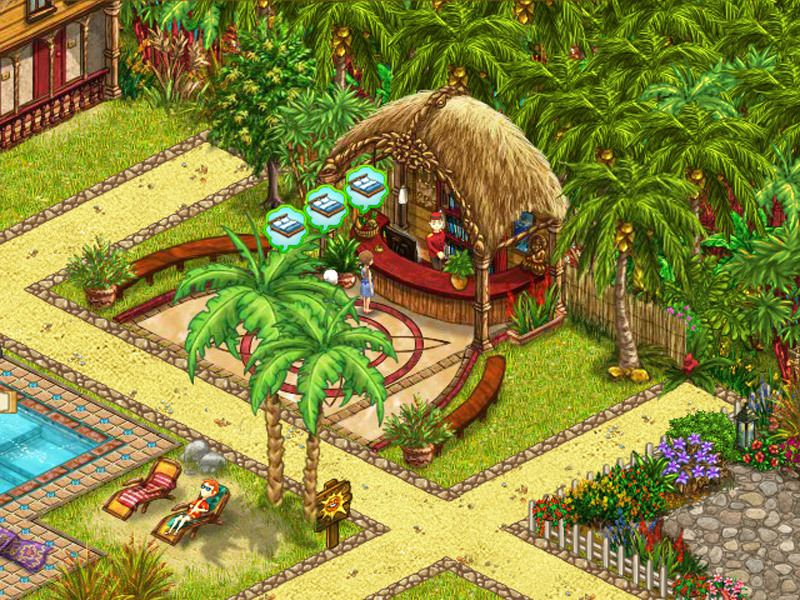 If you want a fun way to escape the stress of everyday life, a holiday in My Sunny Resort is just the thing you need! 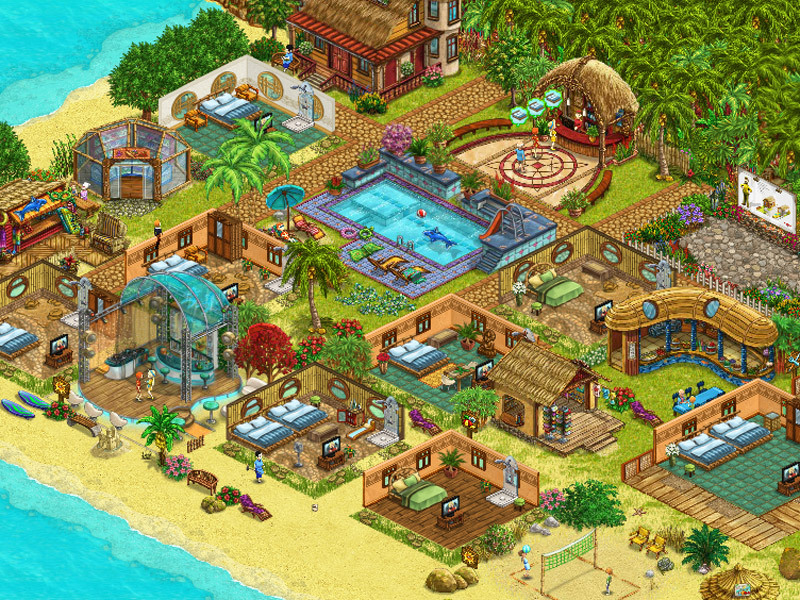 In this entertaining online manager game, you can build your very own vacation resort. 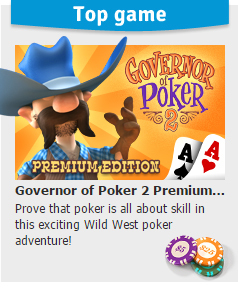 All sorts of entertaining tasks and exciting challenges await you. A friendly hotel manager has taken out some time to teach you the most important features in the tutorial at the beginning of the game. After that, you’ll be ready to build your own holiday dream resort. Build your unique beach resort. You naturally have some ambitious goals in this online manager adventure. 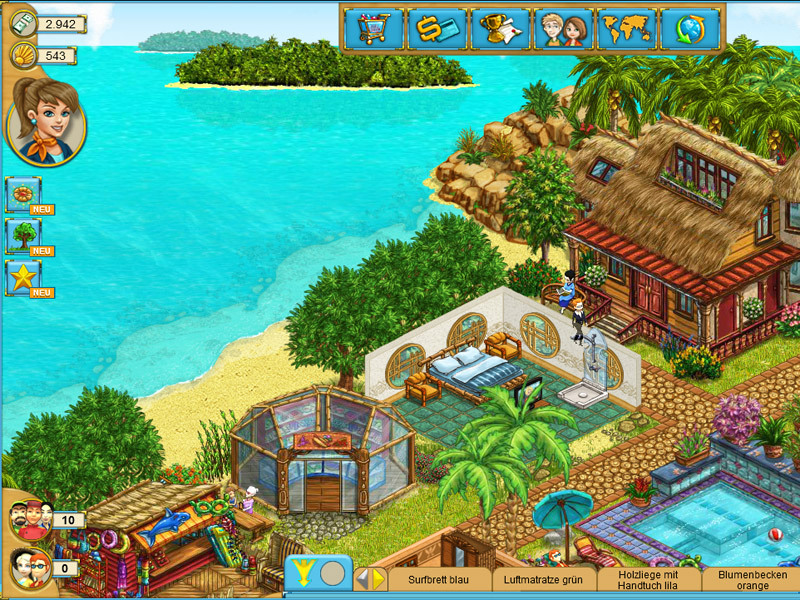 You must take care of your guests as well as you possibly can, and become a famous 5 star resort! You’ll have tons of great features at your fingertips to make this dream come true! The further you progress in this beach game, the more options you will unlock! KlondikeGet ready for a very meaningful journey… you will enrich your life experience - Klondike! My Free ZooCome on in, come on in – the gates to your very own zoo are open! Breed cute and exotic animals and embellish your zoo with hundreds of different decorations FarmeramaHarvest and sell your products. Work together with your farmer friends.